Now, both are pondering whether to pass those businesses down the bloodline to their children. Allan Chua has three children: two sons and a daughter. 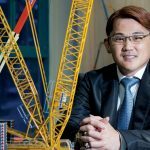 Being the good family members they are, they regularly drop by the office of LH Construction and Machinery, a Singaporean crane and heavy machinery supplier. Often it’s to help out with the paperwork. As CEO, Allan is grateful. “We do this because they’re going to take over the business in the future,” he remarks. But Allan is of two minds. Should he encourage his children to work full-time in the family business, growing its fortunes, or should he let them pursue their own career paths in life? His brother Alex, CEO of Lian Hup Brothers – another one of the family’s businesses – is of the same mind. “Of course, it depends on their passion and what kind of profession they are looking for,” Allan says. “If they tell me ‘Daddy, I don’t want to work in this environment or this industry’, I will not force them. I believe sooner or later, they will come back to us. I just don’t want to rule my children out of working for the company. Alex feels the same with his children. These are our family businesses. They are family. I would love for them to be involved. Allan’s view comes from personal experience. 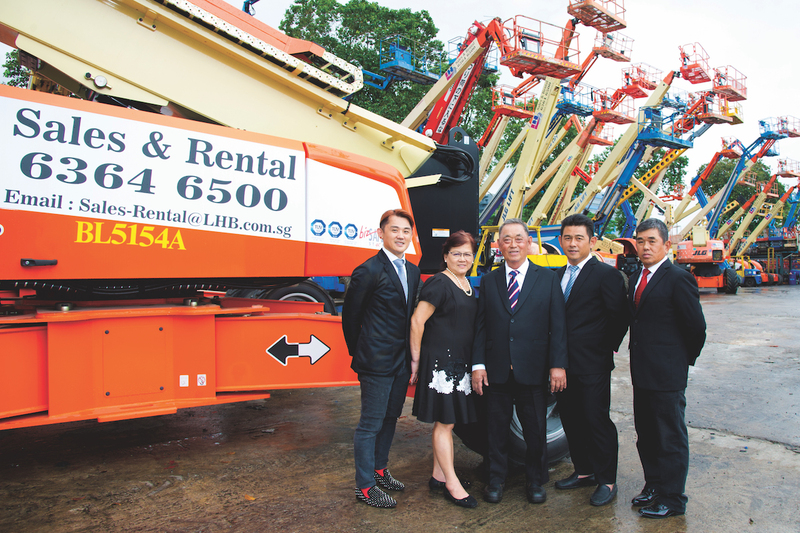 Growing up, he developed his passion for heavy machinery after watching both his parents work in LH, known then as Lian Hup Brothers, for more than 40 years. “It began with small machinery. From there, I became more interested in heavy machinery,” says Allan. Starting from ground level as a mechanic, his career then moved to operations, followed by sales and marketing. LH Construction and Machinery has been providing equipment for the Formula One Singapore Grand Prix since 2012. After that, Allan decided he wanted to do something away from the family operation, working for businesses both in Singapore and abroad. He spent four years perfecting his sales and marketing skills at a firm specialising in the auctioning of heavy equipment before rejoining LH in 2005. The experience allowed Allan to return with more and varied experience, making him better equipped to take on the challenges that lay ahead for the company. It also gave him a mentor in Steven Poh, who was the Chairman of Asiagroup Leasing Pte Ltd. “I still keep in touch with him almost every week,”Allan says. The LH family business has grown to 160 members, many more than the three it had when it was founded in 1968. “We help each other like family,” Allan remarks. Most important in maintaining the LH family vibe, according to Allan, is in making every effort to prevent internal conflict or politics. a second four-year contract to provide machinery for the Singapore Formula One Grand Prix and to be one of the sponsors. Regardless of whether or not Allan’s children continue their involvement in the family business, he has two conditions for whoever ultimately takes over from him. First, they have to be more capable than him. Second, they naturally have to fit in with the LH business family.